$10.00 (12.50%) FREE shipping on all U.S. orders. We also ship internationally. 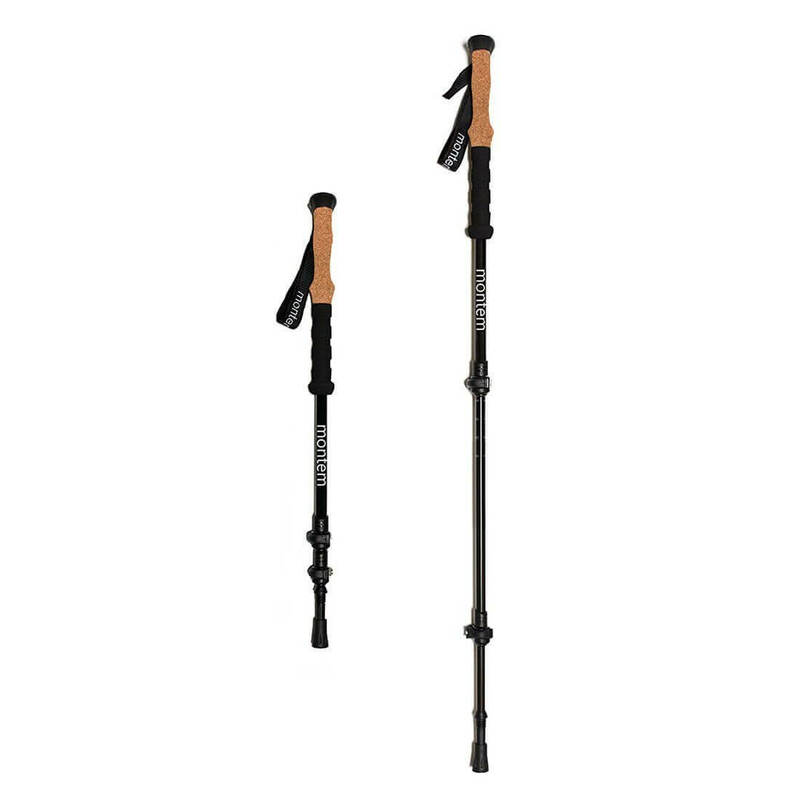 The Ultra Strong poles blend cork handles and extra durable aluminum 7075 shafts with the compact style of telescoping poles and cutting edge flick-locks for enhanced stability while walking whether it’s in your home, the supermarket, or on a trail. Novices to experts, hiking, trekking, protecting knees and joints, and maintaining balance. 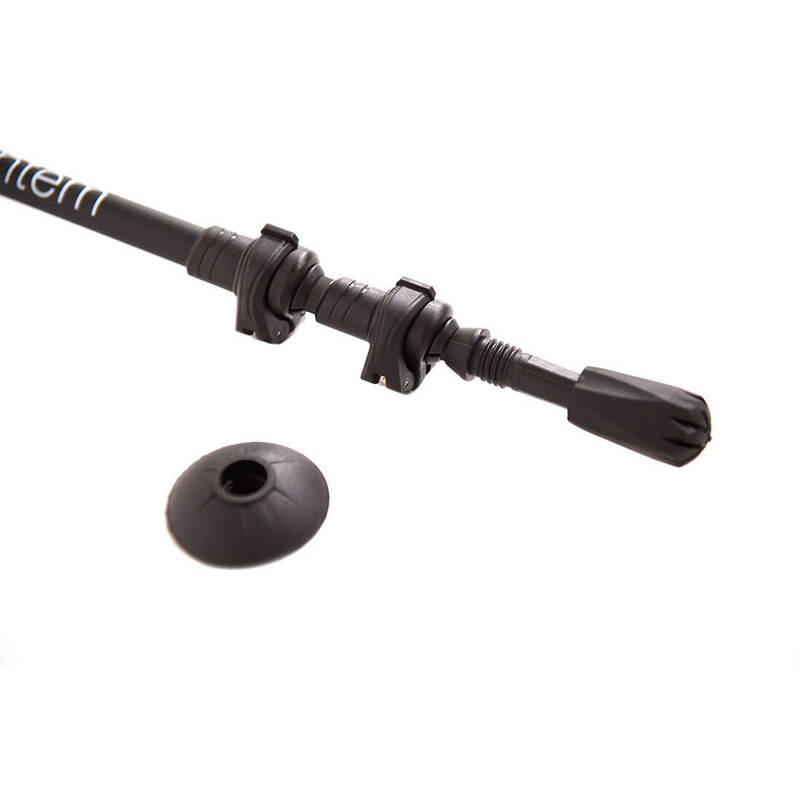 Innovative collapsing system offers simple, compact, and reliable support with a cutting edge flick-lock system designed to keep your poles from sliding. Ultra sturdy, and developed with traditional cork grips which feature foam extensions, allowing better grip and handling on all declines, and inclines. The 3-section Aluminum 7075 shaft creates an ultra strong pole design that retains strength over a wide range of terrain, and angles. 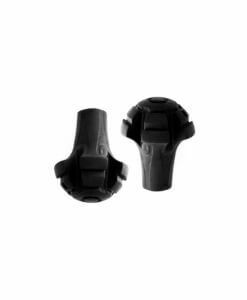 Carbide crafted tips, and includes interchangeable mud baskets as well as rubber tips. Hand straps designed to last, and soft to the touch. Are Montem trekking poles easy to adjust? If so, how? It's super easy! Simply adjust your arms so that they’re at a 90 degree angle while using your Montem Trekking Poles. When adjusting the height of the poles, make sure the number on the top segment of the pole is the same as the one on the bottom. Flip open the clasp, then proceed to make 1/4 turn adjustments to the screw until you get the desired tension. The bolt should be tight enough that when you close the clasp the pole supports your weight without sliding. Bought these poles for 4-day backpacking trip in WA. Very comfortable, light, and easily adjustable. Used heavily on rocks and didn't experience any issues. Very happy with the quality at the price. Great value. Look forward to future trips with them. They pulled no punches here. This model is clean, easy to use, and cork grips for those like me who prefer the solid aspect of it. Excellent job, Montem! These poles are a reasonable weight and very well priced. I have tried them on a walk and they appear to do the job very well. Used these poles on a two week hike through the Alps, and they were great. Despite the rocky terrain and getting the poles wedged in cracks often, they suffered no damage at all. I used them to vault over streams and repeatedly put my full weight on them during steep descents. Some reviewers have complained that they locking mechanism slips over time, but I did not find this to be the case as long as I adjusted the tensioning screw properly before engaging the locking cams. The poles are light and easy to carry.